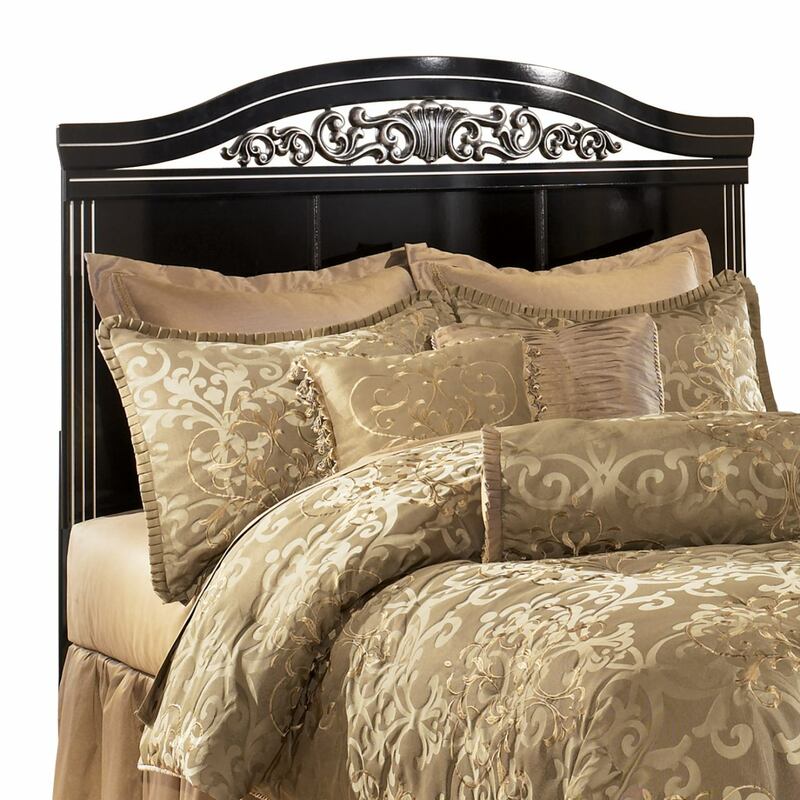 Alive with ornate detailing and a rich traditional beauty, the "Constellations" bedroom collection takes sophisticated style to the next level with a collection sure to enhance the beauty of any bedroom decor. 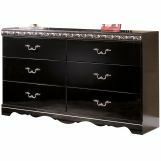 The deep glossy black finish is elegantly complemented by the satin nickel color of the detailed scroll and leaf appliqués along with the foiled moulding and flute accents creating a sophisticated traditional style. With the glossy faux marble tops and satin nickel colored hardware, this furniture truly captures the essence of grand traditional design. 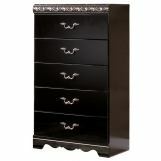 Create the bedroom of your dreams with the rich beauty of the "Constellations" bedroom collection. Bed can be set up as a full or queen size. 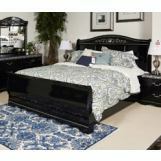 Incorporate sophistication to your bedroom with this beautiful, traditional styled bed. 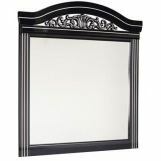 Full, Queen or King size bed can be displayed with or without a low-profile footboard and features a headboard showcasing foiled molding and flutes in a satin nickel finish. 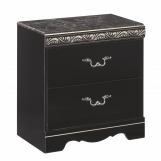 The deep, glossy black finish is elegantly complemented by the satin nickel finish of the detailed scroll and leaf appliqués. Transform your bedroom and capture the essence of grand traditional design. how does the headboard attach to frame?. Is it a bolt on and does it come with the bolts? Best Answer: Its bolt on and the bolts are not included however you can purchase them.